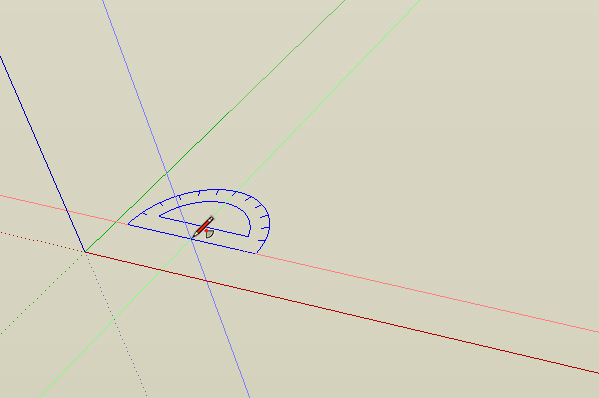 With the release of SketchUp 2014 come a couple of options for drawing arcs. In the past arcs were drawn by selecting a start point, an end point and then specifying a “bulge” distance. That’s a useful way to draw one, even though you might be mentally getting out a compass and looking for a center and a radius distance. Think of an apron on a table; you want the arc to start and stop close to each end and you want it to peak a certain distance up. If you need a refresher on the Arc tool, I’ve pulled a couple of pages about the Arc tool from my book “Building Blocks of SketchUp” and turned them into a PDF file (than includes an embedded video). You can download the free PDF excerpt from “Building Blocks of SketchUp” about using the Arc tool in SketchUp by clicking on this link. You can find toolbar buttons for the existing and new Arc options in several places. In the Getting Started toolbar the new commands are under the drop down arrow to the right of the Arc tool icon. 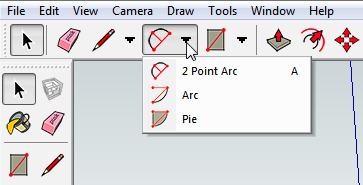 In the Large Tool Set toolbar there are now three icons for arcs, and under the Draw menu is a flyout next to Arcs that contains the three options. Start by locating the center of the arc. The procedure for making arcs with the new commands is the same, but the resulting geometry is different. 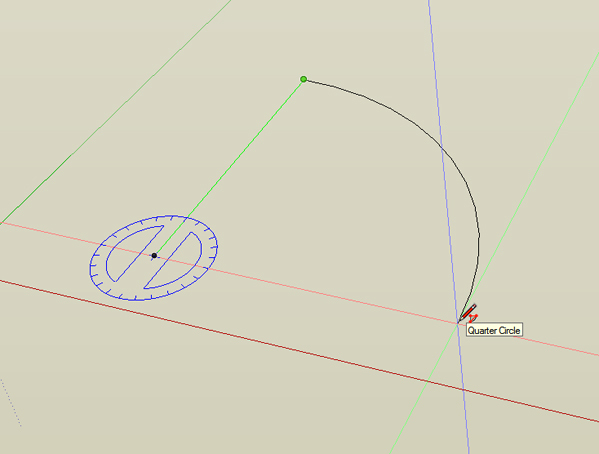 Then specify a radius distance, click and drag in the direction you want to go. 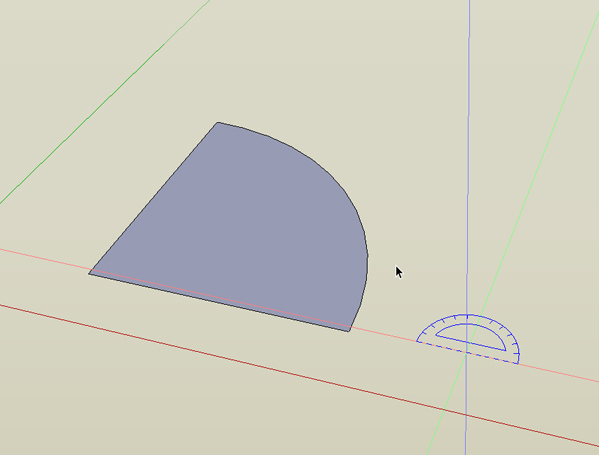 If you’re convinced you need to know the center point of an arc before you can draw one, you’ll love the new arc commands in SketchUp. Start with a single click on the center, then drag the mouse and specify a distance, either with another click or by typing a dimension. Let go of the mouse button . . . Drag the mouse to complete the arc.
. . . and drag the mouse as far as you want to go. It will snap to a quarter or half circle, or to other geometry in your model. The command labeled “Pie” connects the end points of the new arc with a line, creating a face. The command that is simply labeled “Arc” only creates a curved edge. There are a lot of new features in SketchUp 2014, and you can read about them at this link. If all this talk about commands, edges, faces and typing dimensions sounds like Greek to you, you can learn the basics of 3D modeling with SketchUp with my book “Building Blocks of SketchUp”. It’s in enhanced PDF format with embedded videos and gives you a solid foundation in the ways SketchUp works and the ways you can make SketchUp work for you. It’s available as an instant download so you don’t even have to brave the snow to get to the mailbox.